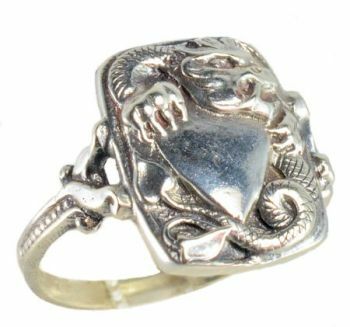 Description: Victorian designed sterling silver shielded dragon whimsy ring. 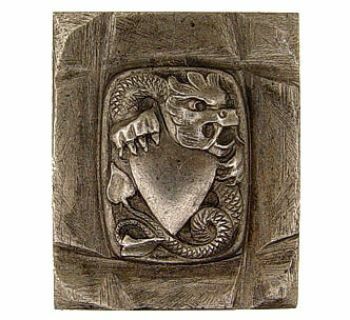 The wingless dragon represented earth or �fixed� elements; opposing the winged dragon representing volatile ones. The shield represents the protector. 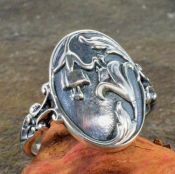 Translation of the wingless dragon holding a shield to symbolize the protector of the earth. 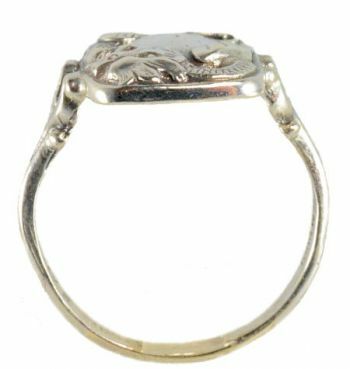 These rings are made with original hand engraved dies, also known as 'hubs', from a collection dating back from the 1800's to early 1900's. 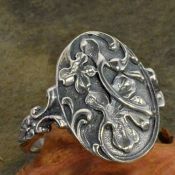 They are very detailed with an antiqued finish and are not mass produced. 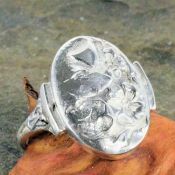 Cast per order making these whimsy rings a very unique, personal and one of a kind gift. 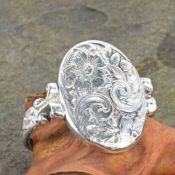 Using a combination of techniques from the past and present these fabulous designs have been brought back to life in such a way that even the original tool marks hand engraved�over a 100 years ago are left intact and preserved as part of the history and charm of your ring. 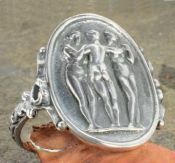 Measurements: Measuring 9/16" by 3/8" wide across the top on a slim 2.0mm wide band. The corners of this ring stick out slightly, as the top does not curve to the finger. Manufactured in approx. 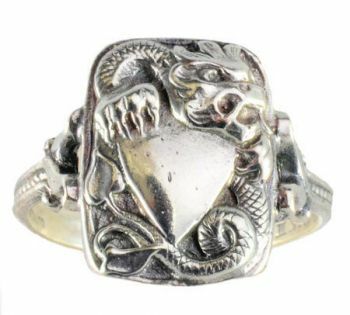 ring size 6.��If resizing is required select it from the drop down ring size selection box.